Since first appearing in the pages of DETECTIVE COMICS #27 on March 30, 1939, Batman has stood out as one of the world's favorite superheroes. A symbol of bravery, ingenuity, and heroism, who has a mantra that he won't kill when bringing criminals to justice providing a role model of integrity for generations of fans. The Caped Crusader has been an iconic figure in American pop culture for 80 years. As Warner Bros. celebrates 80 years of Batman throughout 2019 with special releases, products and events, now seems like a good time to pick up THE BATMAN FILES by Mathew Manning. 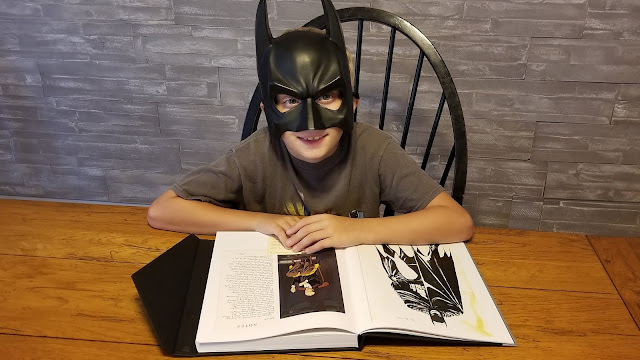 Written from the perspective of being Bruce Wayne's personal journal regarding his experiences as Batman this book provides an indepth look into the history of the Dark Knight. 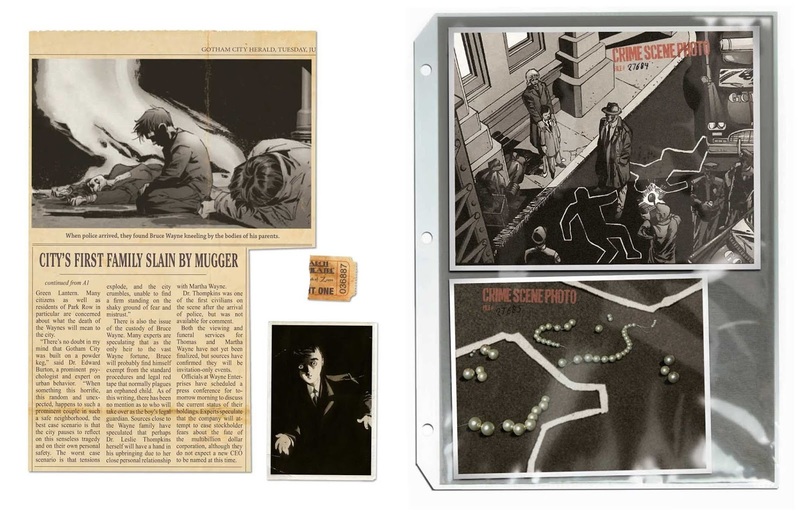 THE BATMAN FILES is a 308 page 8.9" x 11.2" hardcover dossier that details Bruce Wayne's crime fighting endeavors compiled by Manning in collaboration with DC Comics. The book doesn't just rehash previous stories from comic books, novels, movies, television shows and video games though. THE BATMAN FILES immerses readers into the world of Bruce Wayne's alter ego. 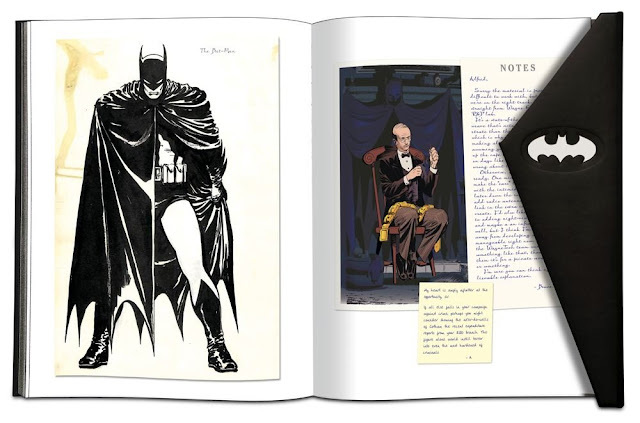 It really has the appearance of a personal journal or scrap book so it feels as if you are reading through a real life diary detailing the adventures of Batman. Providing a complete outline of Batman's war on crime, the book provides notes about the Caped Crusader's friends and foes ranging from Robin, Batgirl, and the Justice League to Catwoman, Penguin and the Joker that appear to be in Bruce Wayne's own handwriting. 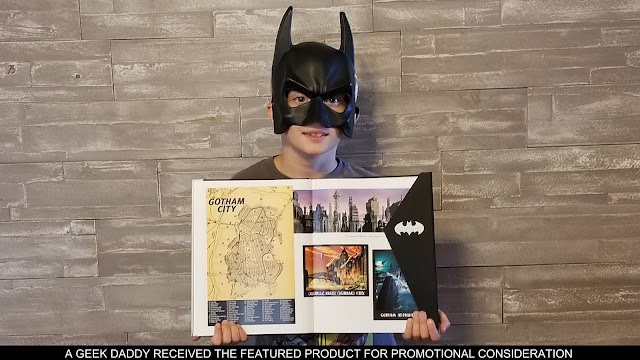 THE BATMAN FILES is filled with Gotham City Police reports, newspaper and magazine clippings from publications within the DC Universe, blueprints, schematics, and maps. An Arkham Asylum psychiatric report for Jonathan Crane ( aka Scarecrow ); a college admission letter from Hudson University to Richard Grayson (the first Robin); the death certificate for Jason Todd (the second Robin), sketches of Batmobile designs; a newspaper clipping from the Gotham City Herald on the death of Thomas and Martha Wayne all provide an illusion of authenticity. My son reads this book over and over again because he says it feels like he has been transported within the DC Universe as he peruses through it. I've quite enjoyed reading THE BATMAN FILES as well. 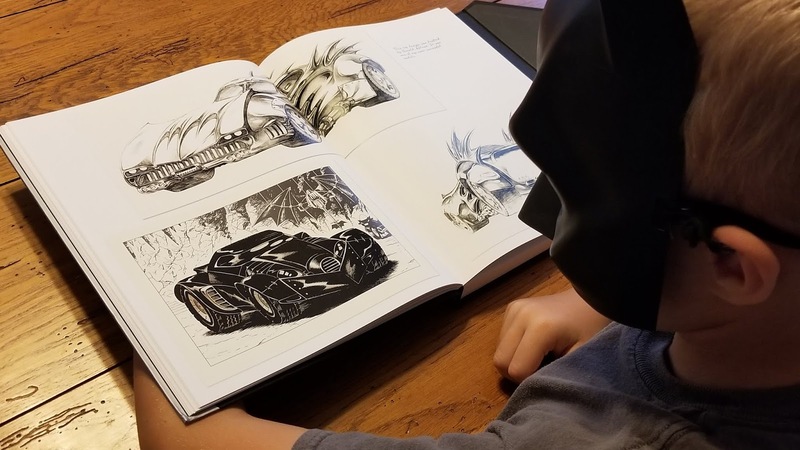 I'm a big fan of looking through blueprints, technical schematics, maps and other forms, drawings and pictures that provide an enhanced view of the vehicles and locations from sci-fi and superhero stories. This book is packed full of these sort of details. 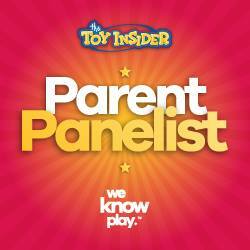 Blueprints of the Batwing, drawings of the Batcave's layout, a map of Gotham City, schematics for Batman's utility belt. There is a lot of stuff to geek out about compiled within THE BATMAN FILES. 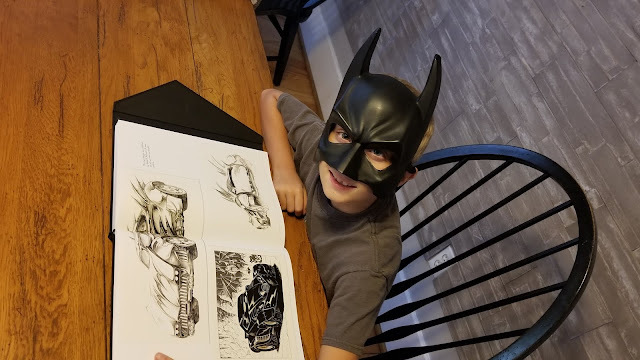 THE BATMAN FILES by Mathew Manning is available from Andrew McMeel Publishing. It can be purchased at amazon.com, Barnes & Noble, Books-A -Million (BAM!) and Indie Bound community of independent local book stores. A must have book for any Batman fan! The book provides a dossier of private photos, police reports, news clippings, and journal entries that provides a timeline of significant events in the metamorphosis of Batman from first son of Gotham City to shadowy Dark Knight. THE BATMAN FILES is a great read for anyone who want to delve into the Caped Crusaders history during this year that mark's the superhero's 80th anniversary of being introduced in Detective Comics. To stay tuned in to special products, publications and events associated with this milestone year in Batman's history keep an eye out for the hashtags #Batman80 and #LongLiveTheBat on social media. You can also visit Batman80.com for the latest news and updates from DC Comics about how Batman's 80th anniversary is being celebrated. Plus don't forget to follow @Geekdad248 on Twitter and Instagram to see how ageekdaddy.com is having a super time celebrating Batman's turning 80. You have to agree Batman has aged well and looks great for being 80!